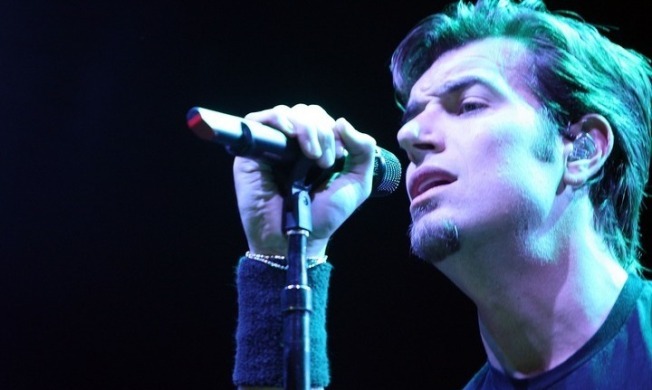 Singer Nick Hexum of 311will be performing at BFD on Saturday. COME ORIGINAL: It is a big freaking deal when Live 105 is able to pull together some of the industry's biggest acts for one show. Live 105's annual BFD comes to the Shoreline Amphitheatre, 1 Amphitheatre Parkway, in Mountain View at 12 p.m. with 311 and the headliner. STRANGE GATHERING: If you like being in a room full of good food and people slightly off their rockers, the Burning Man Pre-Compression luncher at the Mission Rock Cafe, 817 Terry Francois Blvd., in San Francisco is for you. The indoor/outdoor party wants you to wear "evolutionary attire" as the group gets ready for the annual Burning Man festival. The meeting kicks off Saturday at 8 p.m. and runs until 4 a.m.
TOO MUCH FUNNY: What do you get when you put a group of hungry comics on a stage and tell them to go at it? The Battle of the Comics at 414 Mason St. in San Francisco of course. The comedy competition pits some of the Bay Area's funniest up and coming comics as they fight for the crown of "funniest person" Saturday at 8 p.m.
SOOTHING EMO: You might want to bring a Kleenex to the Brandi Carlile show at the Great American Music Hall, 859 O'Farrell St., in San Francisco Sunday at 8 p.m.
REDEMPTION COMEDY: Ralphie May was robbed of the title on NBC's "Last Comic Standing" so we figured we would give him some love here. The hefty funnyman brings his unique perspective on hip-hop and politics to the stage at The Improv, 62 S 2nd St., in San Jose on Sunday at 8 p.m.